Simulator space req with the truck is 25 x 4 meters and without 18 x 4 meters. Simulator operative height is 5.5 meters. Electricity requirement 63Amp / 400V, if available. Alternatively can be powered with own Super Silent generator. In the inside events electricity is compulsory. 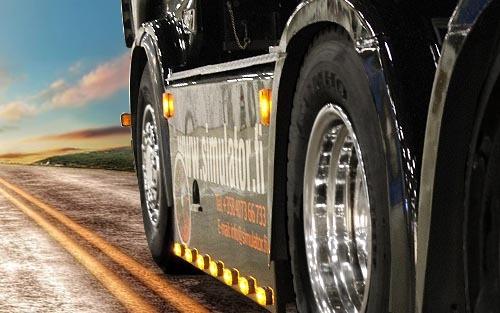 Space requirement for transportation: height 4 meters, which must be taken into account when planning driving instructions as well the entry of the scene! 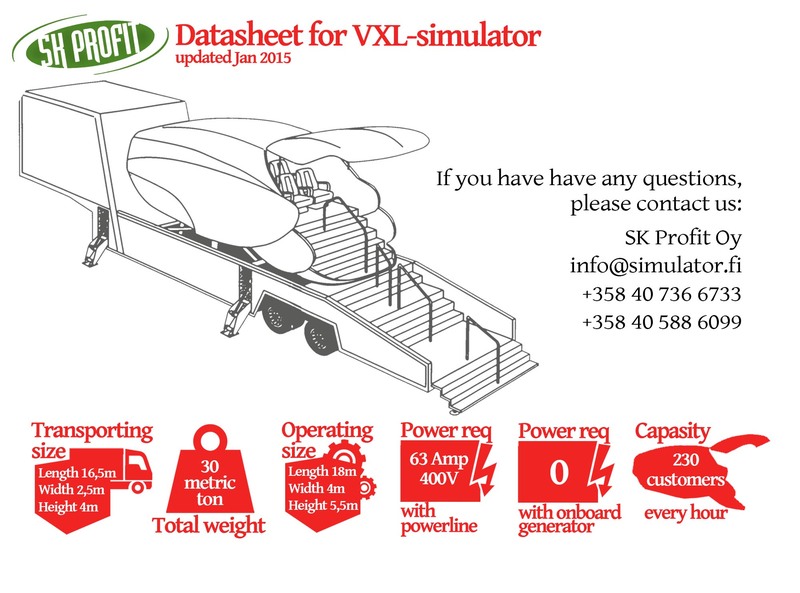 Total weight for the VXL-simulator and lorry is 30 metric tons (30 000 kg), capasity 230 customers per hour. One simulator program / film duration is approx. 4 minutes.